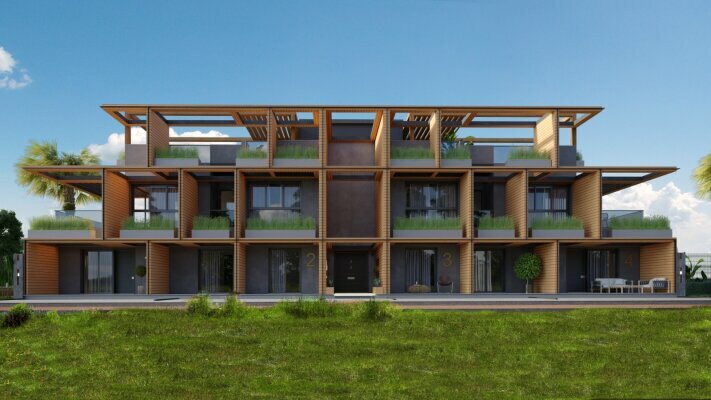 A beautiful complex under construction located near one of the picturesque suburbs of Kyrenia - Alsansak. The complex is located 2 minutes drive from the beach near the 5 star hotels. Also within walking distance there is the entire infrastructure, supermarkets, bars, restaurants. 5 minutes away is the famous British private school. Apartments in this complex will be an excellent vacation place and an excellent investment. All apartments in the complex will come with a built-in kitchen, also at the construction stage you can choose the color of the finish. The bedroom has spacious built-in wardrobes. Plumbing in the bathroom is also included in the price. There is also a small garden 13 m.sq. will be a great place for a barbecue!